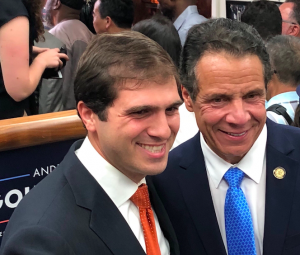 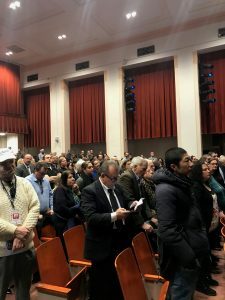 On Sunday, January 27, the community gathered together to inaugurate State Senator Andrew Gounardes who represent the 22nd District including Marine Park and Bay Ridge. 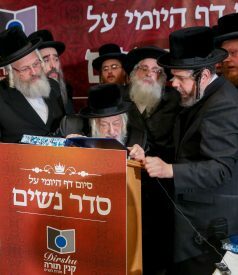 Rabbi Boruch Pesach Mendelson of Khilah Marine Park was chosen to give the benediction for the incoming senator. 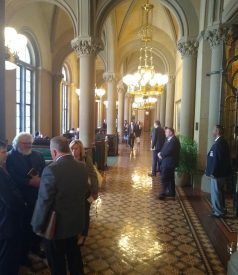 Assemblywoman Helene Weinstein presiding over the Joint Legislative Budget Hearing for Human Services in Albany. 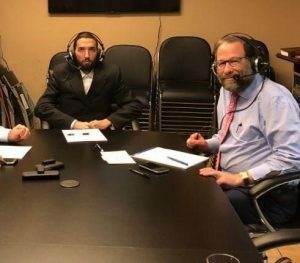 Leon Goldenberg of COJO of Flatbush interviewing Assemblyman Simcha Eichenstein. 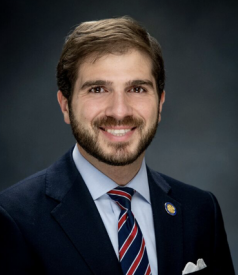 Rabbi Yechiel Kalish of Chicago, IL, was recently appointed to the State Legislature representing Skokie, West Rogers Park, and other areas of Illinois. 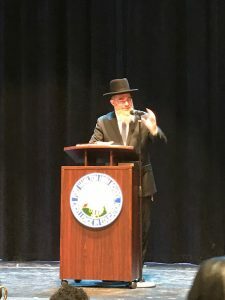 Rabbi Kalish is the first Orthodox rabbi to hold this post in the state. 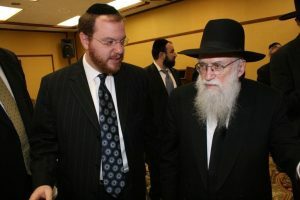 Rabbi Kalish is the former director of Agudath Israel of America.